The death toll in the Yemeni conflict has surpassed 10,000 people, according to “estimates” from a senior UN official, amidst the ongoing chaos in the war-torn country suffering a tremendous humanitarian disaster. “I don’t know the figures but the estimates are that over 10,000 people have been killed in this conflict and almost 40,000 people injured,” UN Yemen Humanitarian Coordinator Jamie McGoldrick told the reporters at a press conference in Sanaa. The estimates seem to be pretty rough, since McGoldrick stated in August last year that “at least 10,000 people” had been killed in the protracted conflict. Previous estimates voiced by McGoldrick were based on “official information” from medical facilities in Yemen, but now, many areas in the war-ravaged country have no medical facilities left. Both local and internationally-supported hospitals have been struck by Saudi-led coalition planes in numerous incidents often blamed on “mistakes” and “bad intelligence.” The statistics are scarce as the dead are often buried without any official records. “This is a war of aggression being waged by Saudi Arabia. Civilians are being targeted, they are not simply collateral damage,” Brian Becker, National coordinator of the ANSWER coalition told RT. While McGoldrick gave no breakdown on civilian casualties, October figures from the UN Office of the High Commissioner for Human Rights (OHCHR), states the conflict has claimed the lives of at least 4,125 civilians and left at least 7,207 wounded, with the majority of the casualties caused by coalition airstrikes. “These people are committing war crimes routinely, systematically against the people of Yemen. This amounts to Holocaust, not just war crimes it’s Holocaust,” Kim Sharif, a human rights lawyer and director of Human Rights for Yemen, told RT. “There are about 11 million people in this country who need some sort of protection in terms of human rights, to protect their dignity and their safety,” McGoldrick added at the press conference. 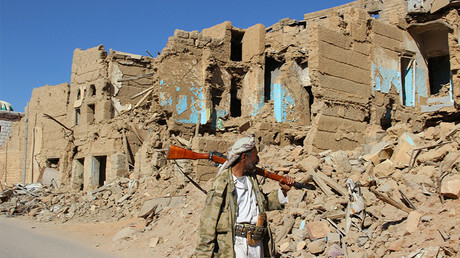 Yemen’s population in 2013 was estimated around 25 million people, which means that roughly a half of Yemenis experience problems with human rights’ implementation and thus need “some sort of protection.” Over 21 million people are in urgent need of “humanitarian assistance,” according to UN World Food Program (WFP) statistics. “And there’s another 2.9 million living in acutely affected areas, who require legal and other types of support. Some of them are related to being displacement, some of it related to gender-based violence,” McGoldrick added. However, “legal type of support” might be actually not the most urgent need for Yemenis, since 7.6 million people are “severely food insecure” according to UN’s own statistics. RT’s Arabic-language crew recently visited the district of Tuhayat on the Red Sea coast, one of these “acutely affected areas.” Most people there, including children, are starving, since the Saudi-led international coalition blockaded the coastal area and deprived the locals from fishing, which was their main source of food, coupled with a an absence of medical care. The new UN revelations documenting the scale of the humanitarian disaster unfolding in Yemen, came as UN Special Envoy to Yemen, Ismail Ould Cheikh Ahmed, arrived in the southern city of Aden, the temporary capital of the government of president Abed Rabbo Mansour Hadi, who was reinstated by the Saudi-led intervention. The UN envoy was expected to present a new peace plan to Hadi on Monday, according to a spokesman. 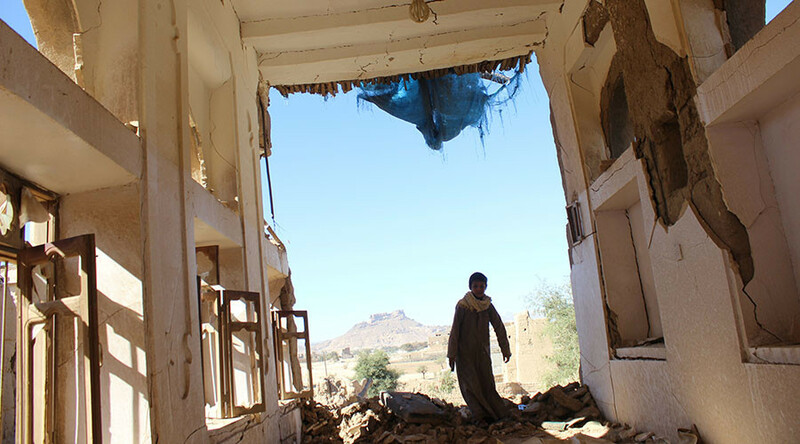 Previous peace efforts failed, since Hadi urged the Houthis rebels to withdraw from all cities and lay down the arms, while the rebels are pressing for a political deal.